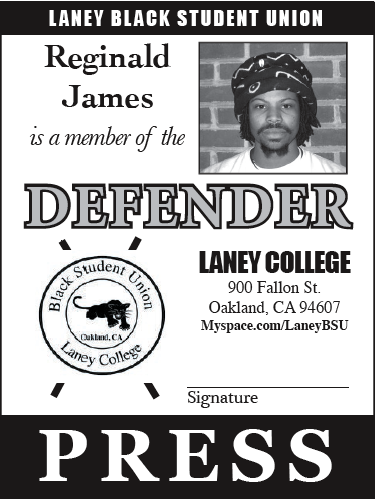 Download a PDF of last issue of the Laney BSU's Defender newsletter. 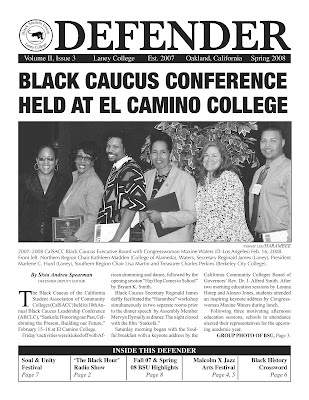 The Laney Defender newsletter is a monthly publication of the Laney Black Students Union. Entirely produced by students, the purpose of the Defender is to keep Laney's African American student population aware of what is taking place on campus and in the community. Meet out esteemed staff writers. President L. Davis - An accomplished orator and poet, Richmond-native President L. Davis focuses on entertainment and culture features. 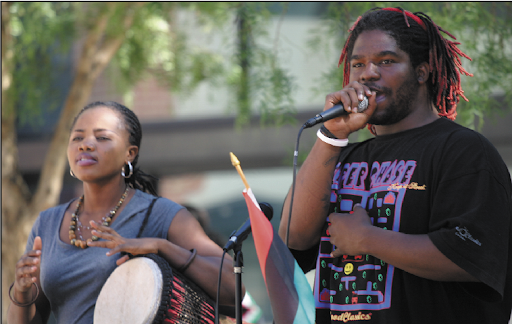 He currently hosts two open mics, Holla Back at EastSide Arts Alliance in East Oakland and Blue Candle at Dorsey's Locker in North Oakland. 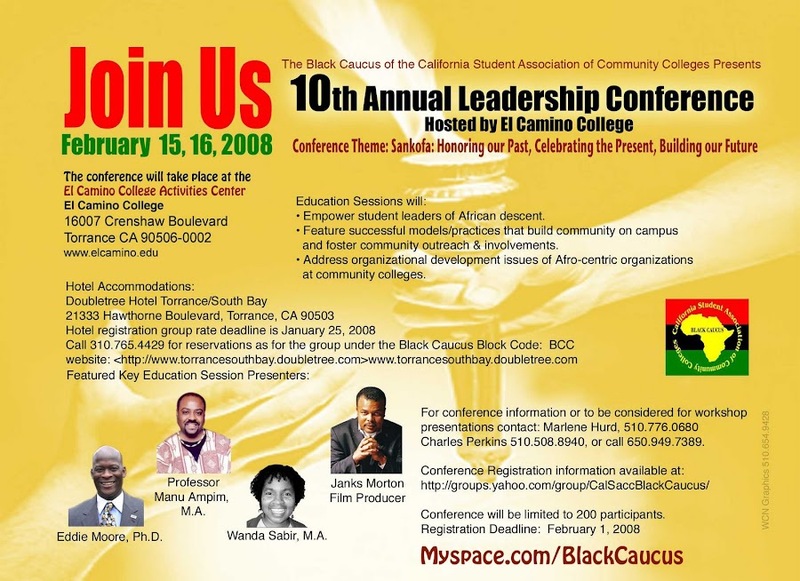 President previously served as Northern Region Chair for the Black Caucus of the California Student Association of Community Colleges (CalSACC), and as a member of the Contra Costa College Black Student Union. He is planning to transfer to Howard University to study Psychology. Sheonna Muhammad - With her piercing commentary and rapid-fire wit, Oakland-native Shaeonna Muhammad ain't one to play with. While seemingly quiet upon first glance, Shae is an innovative analyzer and critical thinker. Shae is studying Criminal Justice and much of her writing focuses on cultural and behavioral Black issues. Translated: If you are a hot-ghetto mess, she will be sure to pull your coattail. Patience Adagba - Nigerian-born Patience Adagba has a generous smile, and an even more generous commitment to the people. Patience is the Defender's bridge to African on our path to uniting our people. 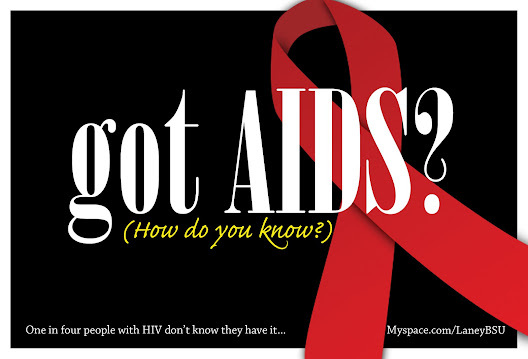 She writes about issues affecting Africans from the continent. She is studying biology and plans to transfer to San Francisco State University. We strive for academic excellence and to provide students with resources to ensure their success...we provide cultural awareness and social support to encourage students to stay committed to our collective upliftment as a people. 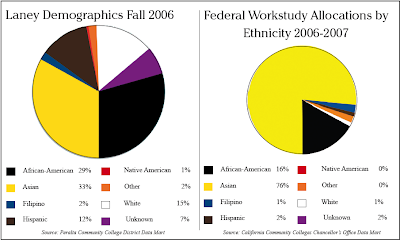 Why are Asian students four times more likely to receive jobs on campus at Laney College than African Americans? 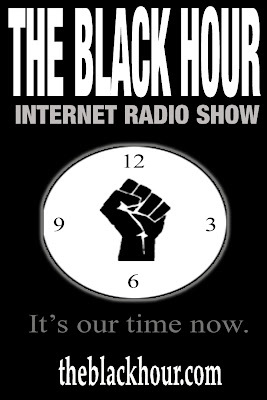 Laney BSU members start form radio show. Laney BSU rallies to save Ethnic Studies at Laney College.